It’s no secret the Dodgers don’t want to operate with a payroll in the $250 to $300 million range. No team does. Part of the front office’s plan — as mandated by ownership — has been to reduce payroll while remaining competitive. It hasn’t been publicly stated (nor will it be), but the moves and lack of moves the last two seasons are a strong indicator that it is indeed the case. *Actual amount not yet determined. The 2016 numbers aren’t completely finalized, but expect around a $30 million luxury tax bill, which is a lot of money for the right to operate above the luxury tax. Andrew Friedman and Farhan Zaidi were brought in to upgrade the previous front office, yes, but were probably also targeted to help manage a growing payroll more efficiently while still competing for World Series titles. Both Friedman and Zaidi did that very thing with the Rays and A’s (Zaidi in a complementary role to Billy Beane), so it wouldn’t be asking them to step outside of their comfort zone on that front. Granted, the luxury tax situation could change come Dec. 1, as the current Collective Bargaining Agreement is set to expire. In all likelihood, the luxury tax threshold would increase, just as it after the first year of the current agreement (from $178 million to $189 million). Regardless, if the Dodgers are going to get to the magic number (or whatever the new magic number will be), don’t expect a ton of huge signings in the future. Eric Stephen does excellent work at True Blue LA, and by his calculations, the Dodgers have $155.9 million committed to salaries for 2017 before any arbitration cases. I laid that out last week. For argument’s sake, let’s say the Dodgers add $10 million via arbitration. That would leave about $23 million to play with either via free agency or trades for 2017. 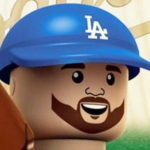 With Kenley Jansen and Justin Turner sure to command at least $15 million each per season (a conservative estimate), and Rich Hill possibly in the same neighborhood, the Dodgers are going to have a difficult time retaining one, two or all three of them. Likewise, they might have a hard time giving a $25-plus million/year contract to a guy like Yoenis Cespedes or taking on Ryan Braun‘s $19 million/year or Evan Longoria‘s $16.7 million/year salary in a trade if they want to get to $189 million this winter. Of course, given that the Dodgers had already pursued Braun at the trading deadline, it seems unlikely they’re going to go completely cheap on us now, so maybe their focus will be on getting below the luxury tax number (whatever it ends up being) next offseason. It seems significantly more likely that would be the target, at least for one year to reset the penalty, since the Dodgers will be through paying the likes of Carl Crawford ($21 million), Alex Guerrero ($5 million), Carlos Ruiz ($4.5 million) and Andre Ethier‘s number falls from $17.5 million to $2.5 million (the buyout of his 2018 contract obligation). This doesn’t account for the pending increases via arbitration and Kenta Maeda‘s incentives, but Eric has the payroll commitments at $111 million for 2018. Thus, it seems like the luxury tax reset would be a lot easier heading into 2018 even if they take on some salary this season, due to increased payroll flexibility. In relation to that line of thought, it’s why a guy like Ian Kinsler makes sense. He’s signed to a really cheap deal ($11 million in 2017, $10 million or $5 million buyout in 2018), is still plenty productive and won’t hamper the payroll through the 2018 season. The Dodgers could even take on a guy like Anibal Sanchez at $16.8 million (with a $5 million buyout in 2018) and not have it hurt the bottom line too much. Sanchez is bad, but taking on that short-term salary might be as attractive to the Dodgers as it would be the Tigers. Such a move would serve the purpose of lessening the quality of prospect it would take to get Kinsler, meaning the Dodgers could keep some of their quality young players who will be making peanuts their first two full seasons. If the reset doesn’t happen during the 2018 season, then it would definitely happen in the following off-season. The Dodgers have just $55.7 million committed in 2019 — again, not including arbitration cases (Joc Pederson, Corey Seager, etc.) and Maeda’s incentives. There will be some holes to fill by that time, including a large one in the rotation when Clayton Kershaw opts out, but that free agent market promises to be legendary and the Dodgers are on course to have money to spend even if they want to reset the luxury tax clock. Names who are and could be available include Johnny Cueto (opt-out), Josh Donaldson, Bryce Harper, Adam Jones, Dallas Keuchel, Craig Kimbrel, Manny Machado (please! ), Andrew McCutchen, Andrew Miller, A.J. Pollock, Jose Quintana, David Price (opt-out), Garrett Richards and others. Whatever the Dodgers end up doing, make no mistake: They want to reset the luxury tax at some point in the next two or three years. And as the base payroll keeps falling due to having less high-priced (and under-producing) veterans and more lower-priced young players, the Dodgers will have better opportunities to get down to the luxury tax number, especially when compared to a messy payroll season like 2015. So as others recommend signings or trades under the assumption that the payroll will be absurdly high forever, try to stay grounded in reality and remember that at some point the Dodgers want to reset the luxury cap clock. That way, if the Dodgers don’t end up retaining all of Hill, Jansen or Turner and pass on guys like Cespedes on the free agent market and avoid guys like Justin Verlander on the trade market, you’ll understand the reason behind the decision. Make no mistake, the Dodgers becoming more frugal was always part of the plan, and Stan Kasten has stated that publicly over and over again. Still, the Dodgers will always have a significant payroll to work with, and that shouldn’t be a concern going forward. However, after the Dodgers took on an obscene amount of money to pave over the sins of Frank McCourt and Ned Colletti in order to make the team competitive in the short-term, it’s only natural that as the long-term plan begins to come into focus the payroll comes down to saner levels. The reality is, the Dodgers will aim to operate in a smarter and more efficient way going forward, and as bloated payrolls with short windows of competitiveness haven’t historically worked out well, it’s a plan that aims to keep the franchise on track toward the goal of being a championship contender in 2017 and years to come.